"This has been a bit of a saga, folks, and I’ll be blogging about it through the show dates." 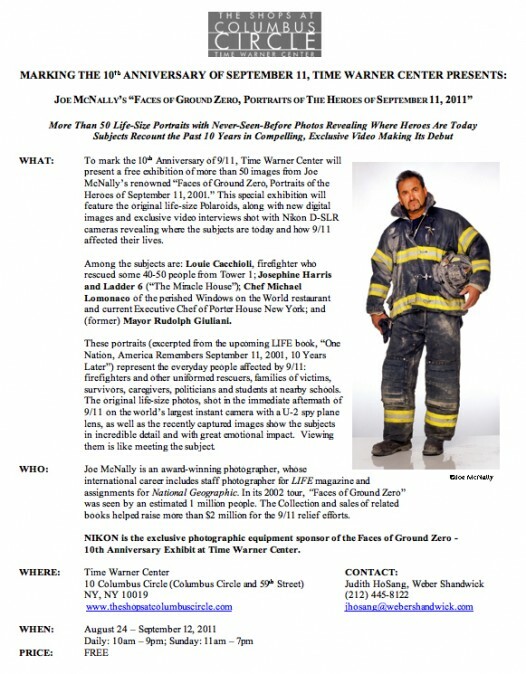 "Nikon is the exclusive photographic equipment sponsor of the Faces of Ground Zero - 10th Anniversary Exhibition at Time Warner Center"
The exhibition will include more than 50 life-size portraits and an "exclusive video" will be making its debut (possible [NR] interpretation: new high MP pro body from Nikon with video capabilities?). The press conference will be on August 24th, 9-11am at the Time Warner Center in NYC. Keep me informed if you are visiting the event (it's free).